LJF : What is your career path within Le Jacquard Français? 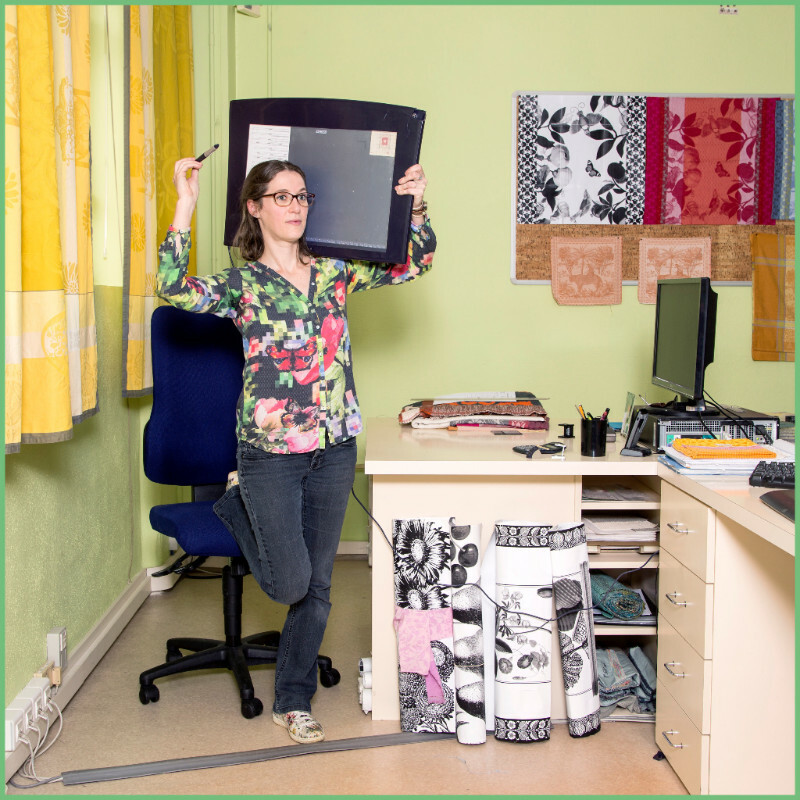 Céline : I did a Bac F12 (A levels) and a BTS (advanced technician's certificate) in Textile Art and Print at Roubaix. The first company I worked for was CRAYE, which made upholstery fabric. Then I arrived at Jacquard as a textile computer graphics designer. LJF : How long have you been working for Le Jacquard Français? Céline : For 14 years. LJF : What items have impressed you? Céline : I like the Origami Multico collection because it’s in lots of colours as well as coated, which is very practical, especially when you have children. LJF : What do you like about your job? Céline : My job brings together two things I love – textiles and drawing. My grandmother loved sewing and my father loved drawing and passed on that passion to me. So now, in my job, I have brought these 2 passions together. LJF : How would you define the Le Jacquard Français brand? Céline : A search for comprehensive colours and designs providing something for everyone, with some highly crafted designs as well as geometric designs. It’s a brand that seeks to satisfy its customers. LJF : How would you describe your job in a few words? Céline : I transcribe drawings into a weaving technique that can be achieved on the looms. LJF : What is the essential quality required to do your job? Céline : Patience because you have to work on the drawings in detail.